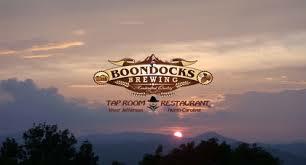 On&nbsp; August 1, 2012 Gary Brown embarked on a lifelong dream of owning a community focused Restaurant & Bar by purchasing Frasers Restaurant & Pub in West Jefferson, NC.&nbsp; They are now Boondocks Brewing Tap Room & Restaurant. Boondocks Brewing is Ashe County&#39;s first and only Commercially Licensed Craft Beer Brewery. Boondocks Brewing Tap Room & Restaurant&#39;s goal is to provide a fresh, unique and engaging destination that will not only attract new visitors to West Jefferson and Ashe County but will also be a place that residents are proud to call their own. &nbsp;They brew small batches of hand crafted beers weekly that are only available in the Tap Room. With two fully stocked bars they have over 30 craft beers on tap that are constantly rotating along with a large selection of bottled beers with a strong focus on North Carolina craft beers.&nbsp; They have an affordable menu featuring casual-upscale high-quality items using fresh and locally grown ingredients prepared by our talented Chef and kitchen team. Now Gary and the folks at Boondocks are back in the news and&nbsp; nearing the completion and &nbsp;opening of their second location, the &quot;Brew Haus&quot; at 302 S. Jefferson Avenue in downtown West Jefferson formerly Geno&#39;s.
The newly remodeled Brew Haus will house larger microbrewery equipment and serve as ample room for special events and catering. Come and see what all the excitement is about in wonderful West Jefferson NC.